Are you ready to blast into 2016 with new energy and ideas? Start the year off right with this 13-day career building challenge. 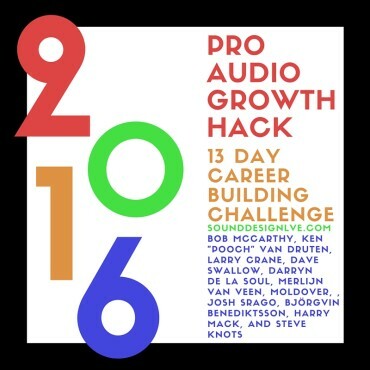 Commit to professional growth this year as a sound engineer and as an entrepreneur. You’ll receive a short lesson and action step each day from such industry leaders as Bob McCarthy, Darryn de la Soul, Dave Swallow, Merlijn Van Veen, Moldover, Larry Crane, Josh Srago, Ken “Pooch” Van Druten, Björgvin Benediktsson, Harry Mack, and Steve Knots.